QUETTA: Families of 26 journalists killed in targeted attacks in different parts of Balochistan over the past decade are still awaiting arrest of the killers. They as well as the families of 19 other journalists who lost their lives in bomb explosions and other incidents of terrorism during the same period, have not yet been paid any compensation. Media houses and journalists continue to face threats issued by militant organisations and police have failed to trace the elements hurling the threats. Cases under anti-terrorism law against nine editors, publishers and reporters of newspapers are pending in courts. These points were highlighted by people who participated in a demonstration organised by journalists outside the press club here on Monday to observe International Day to End Impunity for Crimes Against Journalists. “The cases against the journalists were lodged by the provincial government on the orders of the Balochistan High Court two years ago. 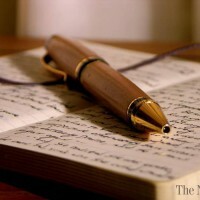 Despite assurances given to journalists on more than one occasion, the government has failed to withdraw the cases,” President of the Balochistan Union of Journalist Hamadullah Baloch, said. Quetta Press Club President Shahzada Zulfiqar said that several press clubs remained closed because of threats. He said that banned militant organisations openly threatened journalists to seek favourable press coverage of their activities. But no action is taken against the organisations. He called upon the government to ensure payment of compensation to families of the slain journalists. Similar demonstrations were held in Dera Murad Jamali, Chaman and Kalat.